A University of Iowa study has identified how excess fat in the heart, a common feature in diabetes and obesity, can harm the cells’ essential ability to produce energy. Researchers believe the mechanism may contribute to the two- to five-fold increased risk of heart failure in people with diabetes. The heart is the most energy-hungry organ in the body. Just like a combustion engine burning fuel to power the pistons, healthy heart cells consume fuel molecules to create the necessary energy to keep the heart pumping. This essential energy production takes place inside mitochondria, the self-contained “powerplant” organelles inside cells. Although mitochondria in a healthy heart primarily use fatty acids as fuel, they can easily adapt to use other fuel molecules as needed, including glucose, lactate, and ketone bodies. Diabetes, however, reduces the heart muscle’s metabolic adaptability and causes heart cells to overuse fat as a metabolic fuel. The study, published in Circulation Research, found this cardiac lipid overload leads to numerous small, misshapen mitochondria that don’t produce energy as efficiently as normal mitochondria. Previous research from the UI team has suggested problems with mitochondrial energy production may play a role in heart failure associated with diabetes. 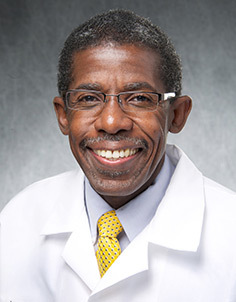 “Diabetes, which affects almost 30 million Americans, significantly increases the risk of heart failure, and one of the cardinal manifestations of the hearts of people with diabetes is the tendency to overuse fat as a metabolic fuel, which ultimately leads to mitochondrial and cardiac damage,” explains study leader E. Dale Abel, MD, PhD, professor and departmental executive officer of internal medicine at the UI Carver College of Medicine and director of the Fraternal Order of Eagles Diabetes Research Center at the University of Iowa. To investigate the consequences of cardiac lipid overload on mitochondria, the UI team used genetically modified mice that mimic the increased fatty acid uptake (lipid overload) that characterizes diabetes. A novel 3-D electron microscopic cellular imaging technique developed by colleagues in Germany allowed the researchers to directly observe the structural changes to the mitochondria—rather like putting on a virtual reality headset inside the cardiac muscle cell, says Abel. In the mouse model, lipid uptake to heart is doubled. This modest increase resulted in mitochondria that became thinner and more twisted than mitochondria in healthy heart cells. These structural changes (almost like a noodle snaking through the heart) lead to an appearance of mitochondrial fragmentation when imaged by conventional electron microscopy. The study also revealed the molecular cause of the change in mitochondrial structure. Prolonged lipid overload leads to increased levels of damaging substances called reactive oxygen species (ROS). The excess ROS disrupts the mitochondrial network by altering the activity of several important proteins that help control the size and shape of mitochondria. The image shows mitochondria from normal heart (left) and lipid overloaded heart (right). Excess fat results in more numerous, more contorted mitochondria. These misshapen mitochondria do not produce energy as efficiently as normal mitochondria and, thus, lipid overload disrupts the heart’s energy-production system. Removing the excess ROS by overexpressing a molecule that helps “mop up” ROS molecules restored normal-looking mitochondria, which worked properly, despite the lipid overload. Surprisingly, using the same approach to remove ROS in normal heart cells led to mitochondria that were four times as large as normal, suggesting that ROS levels are inversely proportional to mitochondria size. The findings suggest that cardiac lipid overload disrupts normal mitochondrial structure, which may impair energy production and compromise heart function. In addition to Abel, the team included UI researchers Kensuke Tsushima, Jamie Soto, Gregory Jenson, Austin Tor, Rose McGlauflin, Helena Kenny, Yuan Zhang, Rhonda Souvenir, Renata Pereira, and Vitor Lira. The team also included Heiko Bugger, Eva Rog-Zielinska, and Peter Kohl from the University Freiburg in Germany; Adam Wende from the University of Alabama at Birmingham; Crystal Black, Sharon Hu, and Ken Spitzer from the University of Utah; Terry Sharp, Koresh Shoghi, and Jean Schaffer from Washington University; Genevieve Sparagna from the University of Colorado Boulder; and Oleh Khalimonchuk from the University of Nebraska. The research was funded in part by grants from the National Institutes of Health (UO1 HL087947, RO1HL108379), the American Heart Association, the Juvenile Diabetes Research Foundation, the Japan Heart Foundation, Deutsche Forschungsgemeinschaft, and the European Research Council.